Not your normal blog entry today, but this is such a great review by two recent guests to Augusta de Mist. The review just appeared on TripAdvisor and was unsolicited by us in any way. This is long overdue, but I hope that you get a chance to go during winter. 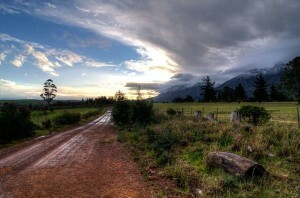 Only a few hours from the hustle and bustle of Cape Town. Sits a small farming town that was once its own state it is named Swellendam and hosts one the nicest boutique retreats in the Western Cape. My partner and I found this little treasure in the British Airways in-flight magazine. We had been through this town on our way to various locations on the east coast of the Western Cape. I never thought of it as a holiday destination due to its inland spot, but I was very wrong. We stayed in June for a weekend getaway and the price was very reasonable. You enter the property through and into a lush almost tropical garden, a green fingers paradise. We were met by one of the owners who proceeded to show us around the homestead and the gardens. First stop was the breakfast villa, a single story building that has been renovated tastefully in a manner that does not take away the authenticity of the historical significance that is embodied in the old world charm of a aristocratic residence. It was on our final night at Augusta de Mist that we would experience the full extent of the owners hospitality and many wonderful stories would be told around the fire, while savouring the delights of an extensive menu complemented by the owners boutique personalised wine. Once we were settled into our villa, I explored our little nest to find a bathroom that seriously challenges my own one back home; it was the master of all en-suites. The fridge was stocked with all the refreshments that you needed and there was a pleasant selection of dried snack food. The bed was slumber paradise and I could see myself not wanting to get out of it but anxious to crawl straight into, that would have to wait until we got back from dinner at a local restaurant called the mill. This was pre-organised by the owners, they had thought of everything and we were only too happy to be directed. We had a little time to kill before we were due to leave so I opened the bottle of red wine that was in the bar stock. At that moment the owners popped over to check that we had everything – how nice of them to be so helpful. We asked them to join us for a glass of wine and explain a little about it as this wine was tailor made and was created by the owners. I would go into that further but you have to go there to hear the story and taste the wine. The Mill restaurant is located out of the main town about a 7 minute drive; it was once a working mill and is now a very well-known local eating spot. It has a very homely feeling about it and everyone seems to know the dinners at all the tables. I had the Steak and my partner had the Chicken I think. Everything was perfect! Our final night at Augusta de Mist was a gastronomic feast, you have to indicate that you would like to eat in the in-house restaurant ’Augusta’s African Kitchen’ at least a day in advance as these are very intimate and customised events. We were joined by one of the owner’s mothers who had been visiting from Canada and her son, one of our hosts. While we wined and dined you could almost feel the drums beating to a production line in the kitchen, the aroma and orchestral symphony of pots steaming meant that you were never too far from the action. Our finale for the evening was a very rich and decadent Malva pudding. Like many of the dishes served in the evening there was a strong emphasis on the African flavours, this was no different and a great way to end our evening and sadly our weekend. Breakfast seemed to just go on forever, there was never s shortage of food and I ate every item that was presented to me – from the freshly baked pastries and breads to the cooked breakfast..
Our host Hank and Michel have everything under control and if you have not been to Swellendam than now is the time to go – what better place to be in winter next to a roaring fire with a good book, great wine and good company (take our own or make some new friends). We will BE BACK. Image by Bruce Geils Flying Horse Photography.